In my recent efforts to continue to improve at chess, I've read through a couple more books on the subject. As always, I read books in pairs so that I can get multiple perspectives on a topic and learn it more thoroughly. Sometimes the books cover nearly the same material, and other times—like in this case—the books are only loosely related. 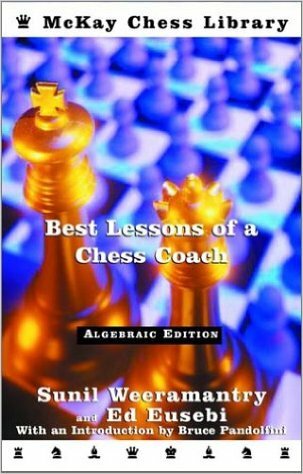 The first book is Best Lessons of a Chess Coach by Sunil Weeramantry, a FIDE Master and highly successful chess coach. This book is the kind of book that explains a handful of games in intimate detail. 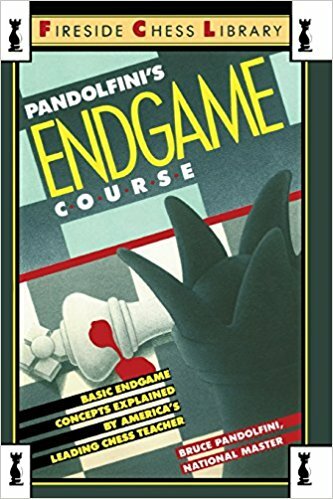 The second book is Pandolfini's Endgame Course by Bruce Pandolfini, a USCF National Master and a more famous highly successful chess coach. Being a book about endgames, it does not go through full games, but contains an extensive collection of endgame positions to study. So both books were written by accomplished chess masters and coaches, meaning they have at least that in common. Functions Should Be Short And Sweet, But Why?